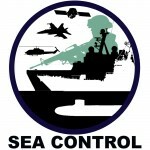 Alex Clarke hosts Sea Control’s East Atlantic Edition from Phoenix Think Tank. He discusses Naval Escorts with CDR Paul Fisher (RN, Ret) and CIMSEC associate editor Chris Stockdale. A phrase I think they may have been looking for is the exercise of maritime governance. That is embargo enforcement, drug enforcement, alien migrant interdiction, counter piracy, counter arms smuggling, fisheries. Relative to the question are these really all cruisers? The smaller cruisers of the early 20th century were the size of todays light frigates and corvettes. At the same time (early 20th century) the largest cruisers were larger than the Zumwalts. I would have to agree with Chuckhhill, the vessels do sound aggressive while escorts sound defensive.